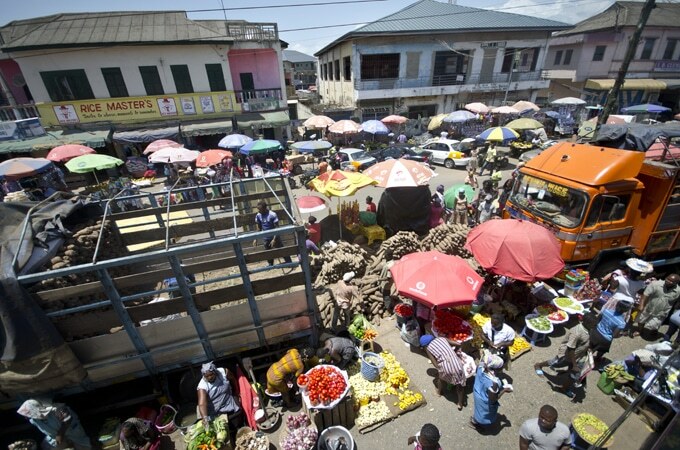 Discover Accra and Takoradi, Ghana! From the food to eat, places to see, markets to shop in, and transportation to take, here is how I experienced Ghana. 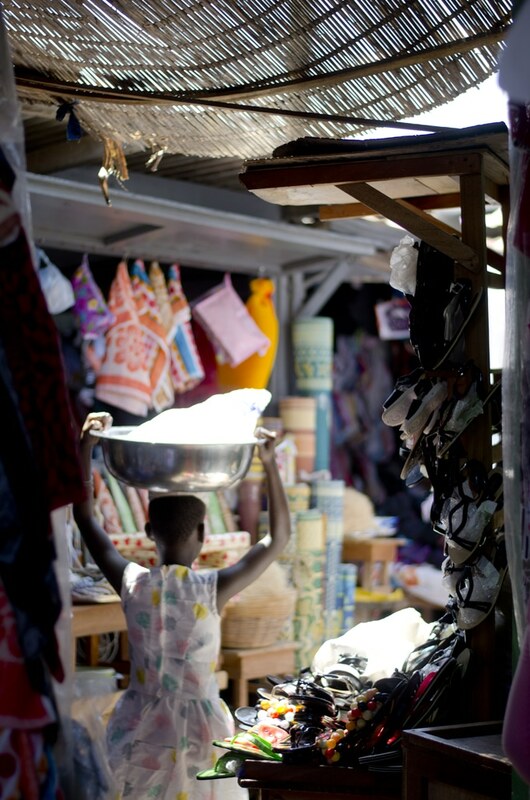 The Makola Market is a buzzing open air market in the heart of Accra. You’ll find everything from foods to fabrics. As always, barter hard. Most people will respect a good (but fair) barterer. Osu, also known as the ‘West End”, is a lively side of town with shops and restaurants. If you’re looking to volunteer, the City of Refuge Ministries, which lies a bit inland from Accra, could probably use your helping hand! 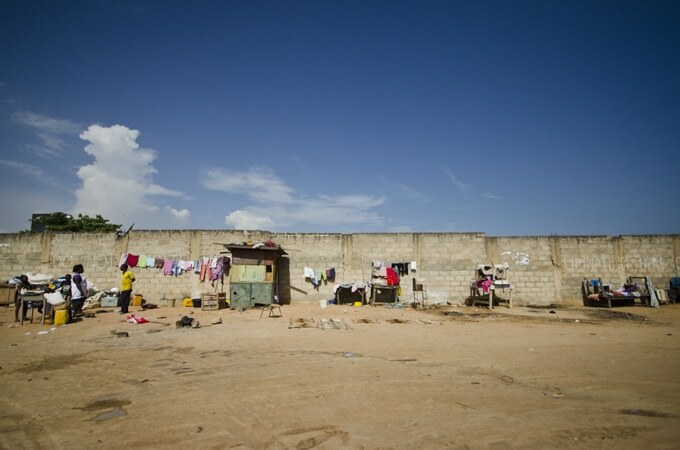 In the area surrounding Lake Volta, it’s not uncommon for children of poor families to be sold to fisherman to work. 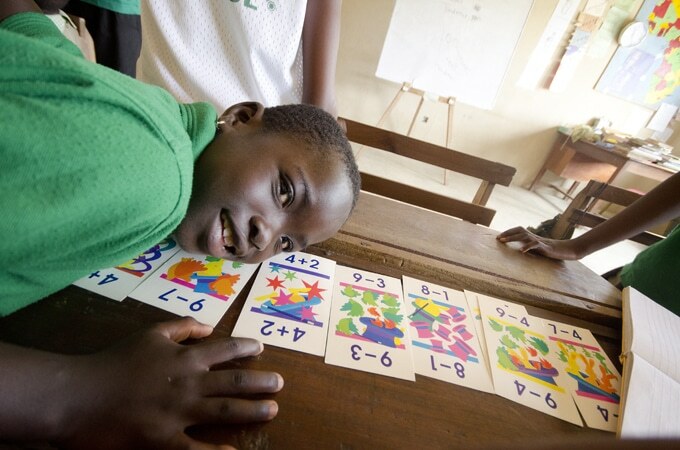 The City of Refuge saves children from this trafficking, gives them a warm community and primary education. 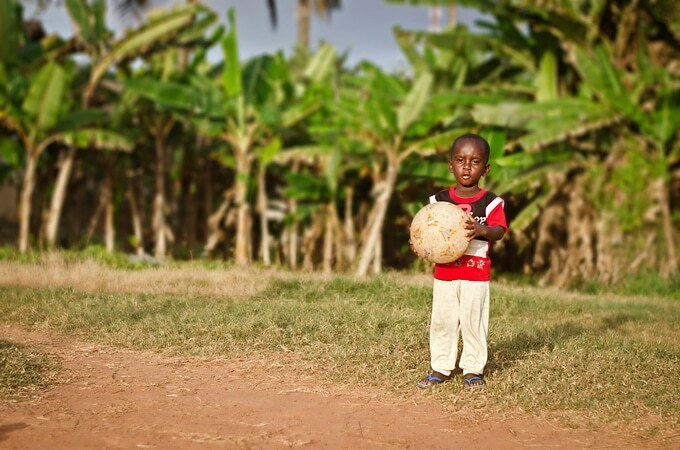 If you’re headed to Ghana, definitely reach out to them! You may also see Takoradi referred to as Tadi, or named in conjunction with its twin city, Takoradi-Sekondi. 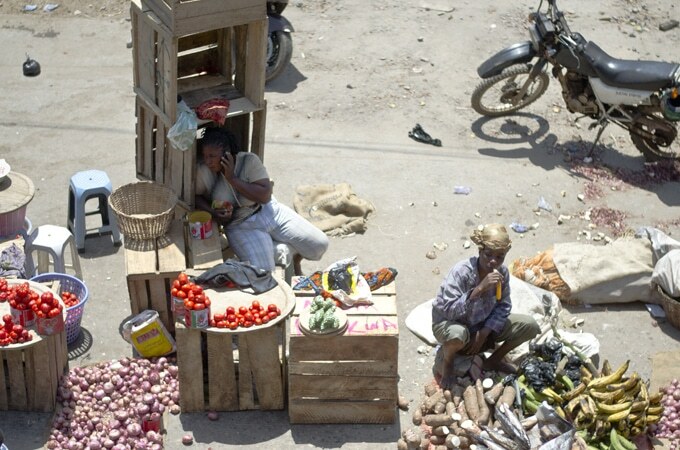 Market Square, which sit right in the middle of town, is a frantic labyrinth of shops and markets, interlaced with baby goats running around, exotic foods, and very few foreigners. There are a number of pretty great beaches in Takoradi, namely around Beach Road. Takoradi has a large oil industry, so most visitors tend to be on business. Taxis should be pretty cheap, but you have to barter. Going about the same distance, we got a taxi for 10 Ghanaian cedis ($5) while another group paid the first price that was named, $50. Don’t get played! If you’re looking for the true Ghanaian experience, catch a ride in a tro tro. A tro tro is a minibus that travels a fixed route around a city or from one city to another. You should probably have a high tolerance for tight spaces and a strong sense of humor, because these things are tight, hot, and hectic. Just ask around for a tro tro station and someone will point you in the right direction. 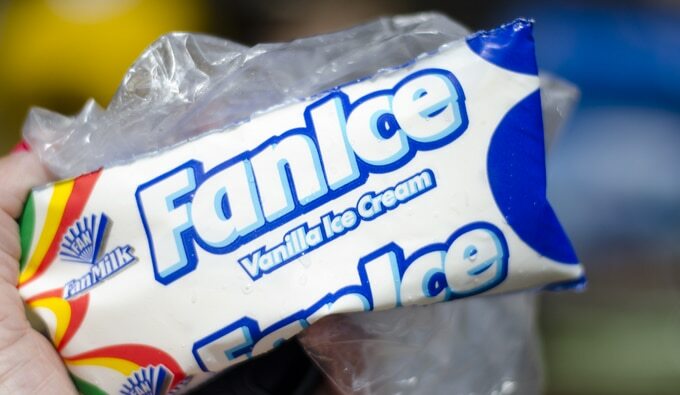 You need to try Fanice, the best ice cream you’ve ever had from a bag. In fact most liquid-y things come in bags. Bottled water? Nope, it’s bagged water. Just bite off the corner and drink! 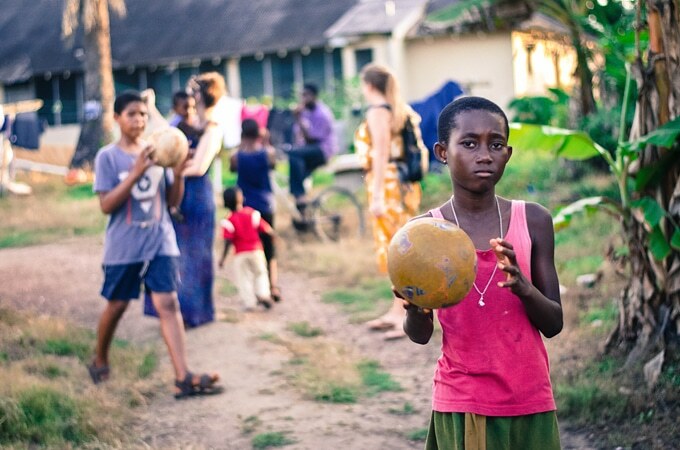 Right after my visit, while Ghana was still fresh in my brain, I made this list of the peculiarities I noticed in Ghana (originally posted on my then-travel blog Sarah Lorraine Adventures). Don’t text and walk! On the side of most streets there are open sewage canals. You’ll just be walking and suddenly BOOM huge hole leading to a 3-foot drop into raw sewage. The people really identify with their religion, so one of the first questions you may be asked is what religion you are. Most people are Christian, but a good percentage are Muslim. I met a girl who, when I asked her what her name was, told it to me then said “I’m a Muslim”. The Christian Ghanaians take on two names. 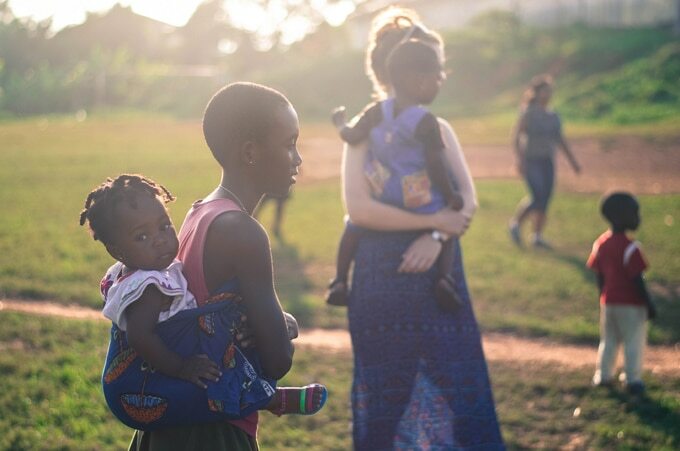 They have a Christian name, which is very western-sounding, like Peter or Lynda, then they have their Ghanaian name, which is based on the day of the week they are born. Dress is very conservative. Even though it’s just above the equator and so, so hot, if a parent sees you wearing anything showing your thighs (i.e. shorts), they’ll shield their kids’ eyes. You see people napping everywhere. Most of the younger girls shave their heads. The only thing distinguishing them from the boys is their gold earrings. As with anywhere, attempt to speak their language and you’ll have a new friend. Just say “mi dah see” (thank you)!